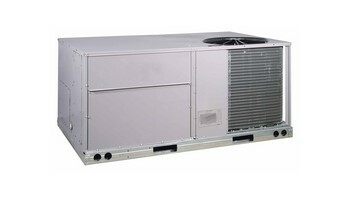 The SoftSound air conditioner series offers Comfortmaker's best comfort in the warm seasons, from the highest featured Observer® communicating system to the budget-friendly with singleand two-stage scroll compressors, as well as variable-speed compressors, multi-speed fan motors, and sound-reducing compressor jackets. Get the most out of a heating system by choosing the gas furnace that fits your comfort needs. All of Comfortmaker's gas furnaces include comfort enhancing and durable features to deliver lasting performance. 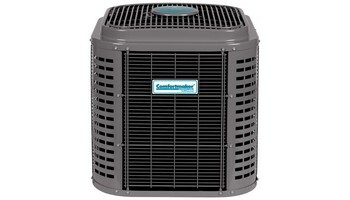 Get the most in space-saving design and comfort when you choose Comfortmaker heating and cooling equipment. Your comfort is backed by superior engineering and quality manufacturing that will exceed your expectations. The system it is designed ahead-of-its-time. Can go on for years without maintenance. which we do not recommend. It is a very reliable trustworthy system. These systems are made by ICP. They are one of the most affordable furnaces to install. In any home or business for a friend or family. You can rely on a Comfortmaker furnace. When installing a Comfortmaker forced air furnace. You are installing a system that you can count on That will keep you warm in the winter time. And comfortable in the summer. This is a forced air system that you can rely on. For the next 30 years of your life. When clean and checked serviced and maintained. These systems will last you for decades and will also save you money. for installing a Comfortmaker furnace today. For professional installs. Call The Price is Right Heating and Air Conditioning HVAC company. Install a Comfortmaker furnace. When installing a Comfortmaker furnace. You are bringing reliability into your home for the next 30 Years. You can always count on Comfortmaker furnaces. Whether it is for your Home or your business. Comfort makers furnaces should be cleaned and checked for every Heating and Cooling season. For proper efficiency savings and long life for the equipment. 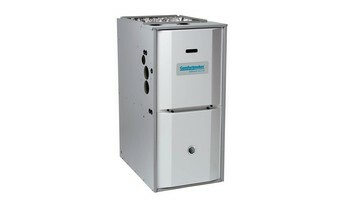 Install a Comfortmaker furnace today call the place is Right Heating and Cooling company. When you think of Comfortmaker. That's exactly what that furnace does. Gives you comfort, efficiency, durability, reliability. These systems are one of the best systems built out there in the field today. Comfortmaker furnaces have a fantastic warranty on the heat exchanger. 10 year warranty on all parts. Most of these parts are Universal and can be replaced. With other Universal parts that are out there. Always make sure to get your furnace cleaned and checked every season. It is very important for the get the efficiency out of any furnace. Money that you give to the gas company. Can be that money that you can go and have dinner with your family. So when you think of Comfortmaker furnace. That's exactly what you're going to get out of that furnace comfort. Install a Comfortmaker today. We are Comfortmaker furnace installers and professionals. Azrikam are the same furnace installers that do all the work for all the systems ICP. Carrier. Bryant. Day and Night. These are all around professional furnace installers. Whether it's high-rises. Regular commercial businesses or Residential Properties. They are truly HVAC professionals who do everything. One of the best things you can get for your family is a Comfortmaker furnace install. If you want to save money and give them comfort. To know that when you need heating or Cooling. It is there waiting for your command that's a piece of mind that you can always count on.